London. A snowy December, 1888. Sherlock Holmes, 34, is languishing and back on cocaine after a disastrous Ripper investigation. Watson can neither comfort nor rouse his friend - until a strangely encoded letter arrives from Paris. 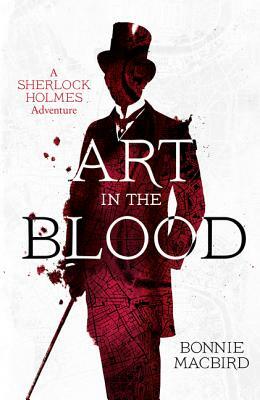 This latest adventure, in the style of Sir Arthur Conan Doyle, sends the iconic duo from London to Paris and the icy wilds of Lancashire in a case which tests Watson's friendship and the fragility and gifts of Sherlock Holmes' own artistic nature to the limits. Bonnie MacBird was born and raised in San Francisco and fell in love with Sherlock Holmes by reading the canon at age ten. She attended Stanford University, earning a BA in Music and an MA in Film. Her long Hollywood career includes feature film development exec at Universal, the original screenplay for the movie TRON, three Emmy Awards for documentary writing and producing, numerous produced plays and musicals, and theatre credits as an actor and director. In addition to her work in entertainment, Bonnie teaches a popular screenwriting class at UCLA Extension, as well as being an accomplished water-colourist. She is a regular speaker on writing, creativity, and Sherlock Holmes. She lives in Los Angeles, with frequent trips to London.